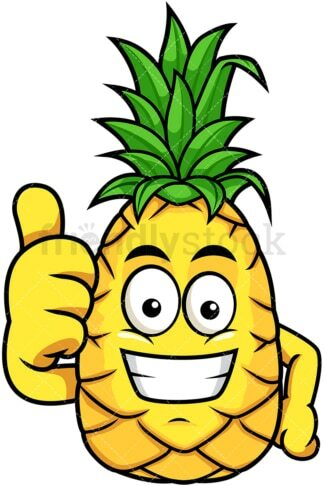 Royalty-free stock illustration of a pineapple cartoon character giving the thumbs up with both hands. Royalty-free stock illustration of a pineapple cartoon character giving the thumbs up with one hand. Royalty-free stock illustration of a pineapple cartoon character wearing sunglasses and looking cool. Royalty-free stock illustration of a pineapple cartoon character wearing a Hawaiian swimming suit and enjoying a drink. 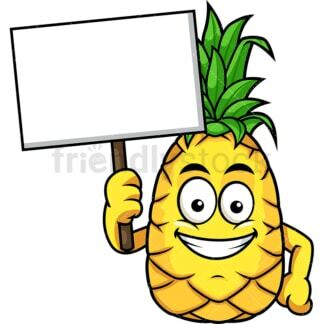 Royalty-free stock illustration of a pineapple cartoon character holding a blank sign while smiling. 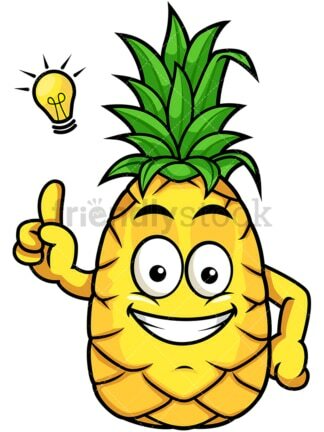 Royalty-free stock illustration of a pineapple cartoon character having a great idea and pointing to a light bulb over its head. 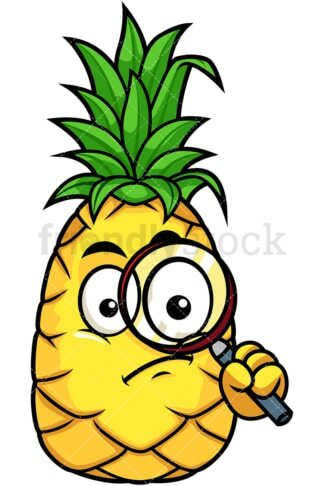 Royalty-free stock illustration of a pineapple cartoon character holding a magnifying lens like a detective. 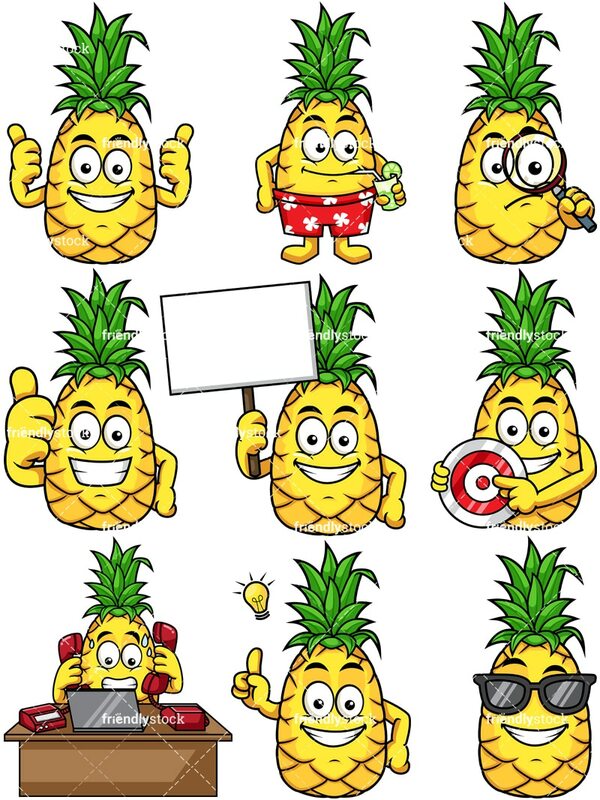 Royalty-free stock illustration of a pineapple cartoon character holding a red target and pointing to the center of it. Royalty-free stock illustration of a pineapple cartoon character standing behind a desk talking on two phones at the same time while looking at a laptop screen.